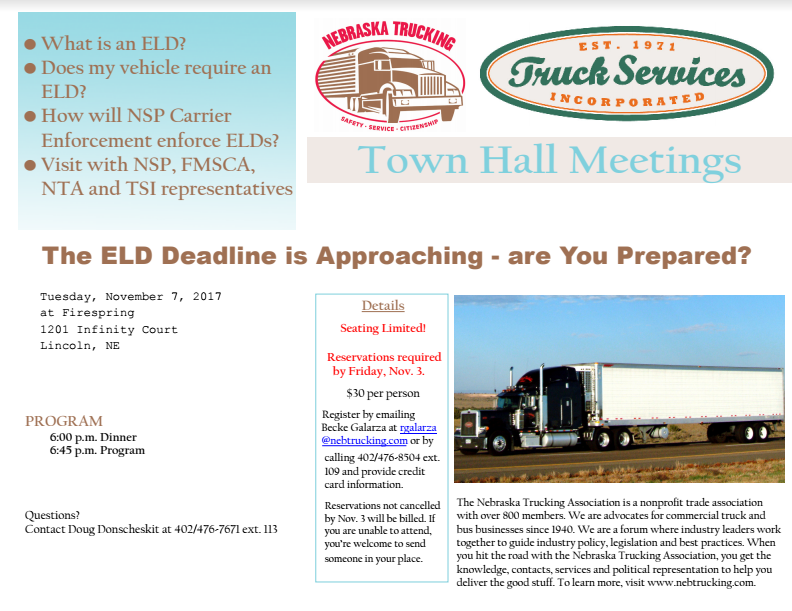 The ELD Deadline is Approaching – are You Prepared? Does my vehicle require an ELD? How will NSP Carrier Enforcement enforce ELDs? Join us at one of the date and locations below to find out all you need to know about ELDs! Keep Your Eye Here for the 2018 Schedule! or calling 402-476-8504 ext. 109 and provide credit card information. Reservations not cancelled by June 12 will be billed. If you are unable to attend, you’re welcome to send someone in your place.